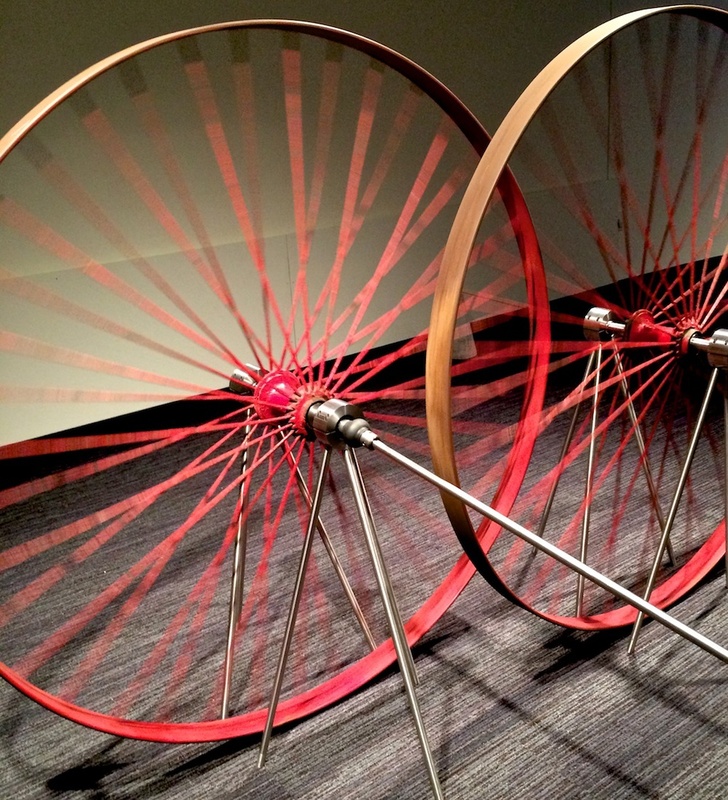 Last week we went up to Cambridge, MA to see the newest kinetic sculpture show at the MIT Museum. 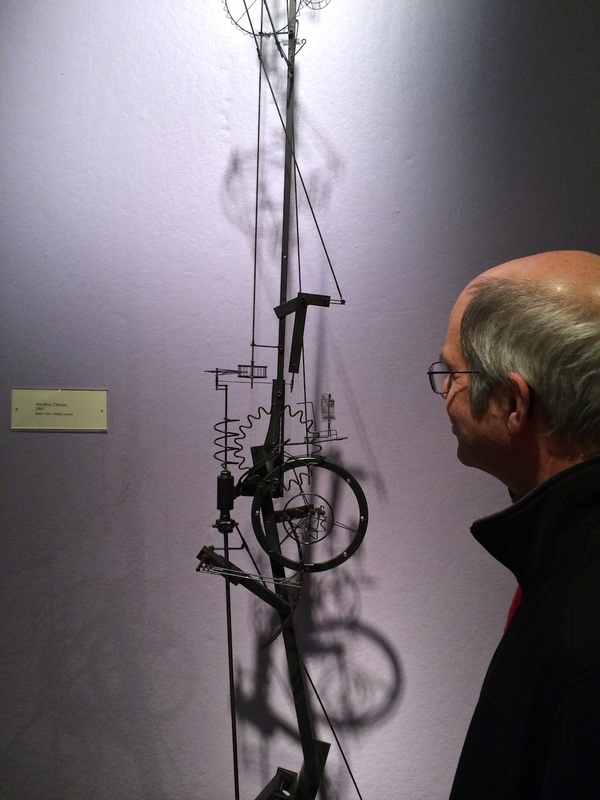 The museum always has an Arthur Ganson exhibit but through November, 2014 they also have an additional gallery dedicated to kinetic sculpture. It makes a visit doubly inspirational. 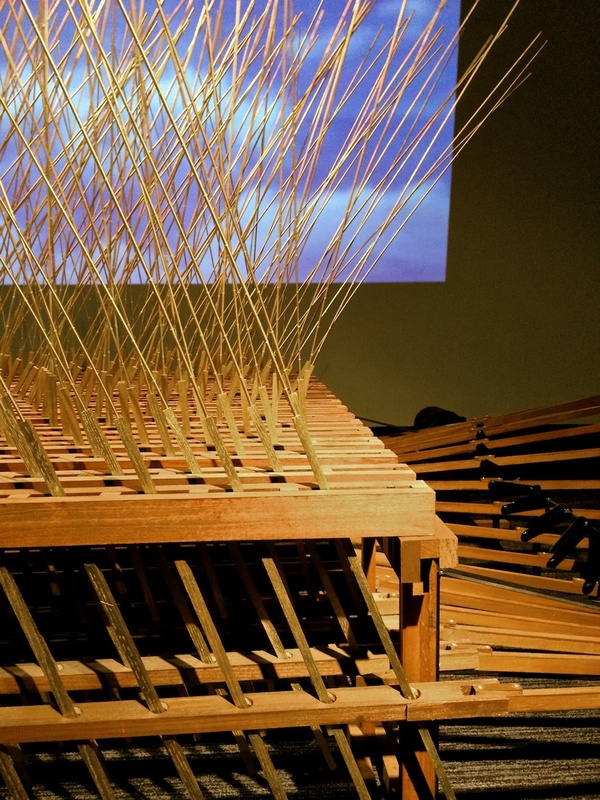 The exhibit, titled 5000 Moving Parts includes the work of five kinetic sculptors, Arthur Ganson, Anne Lilly, Rafael Lozano-Hemmer, John Douglas Powers and Takis. David assembled a short video montage of some of the pieces in the exhibit because one must see the motion! And hear the noise! 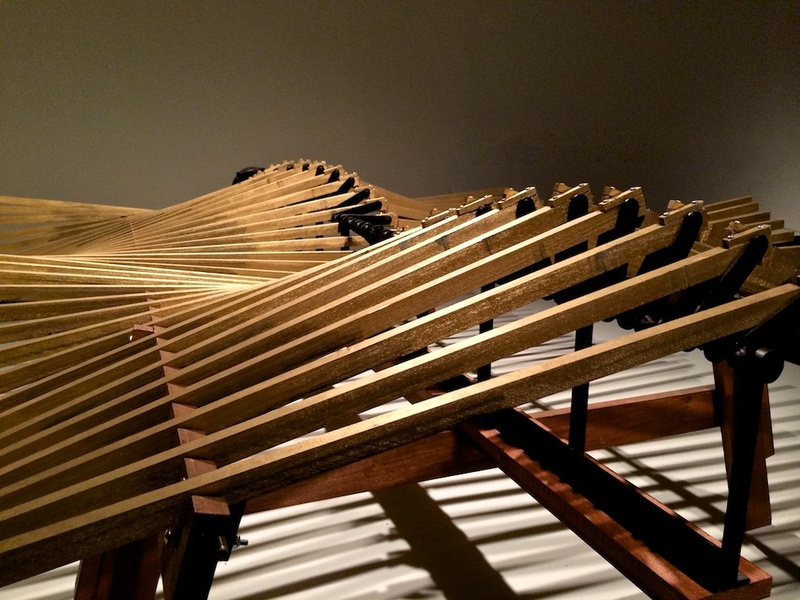 Although kinetic sculptures are meant to move, they often create fascinating still photographs as well. And I found another viewer's video collage of the show up on YouTube. Here is the impressions of the show assembled by Joykrit Mitra. 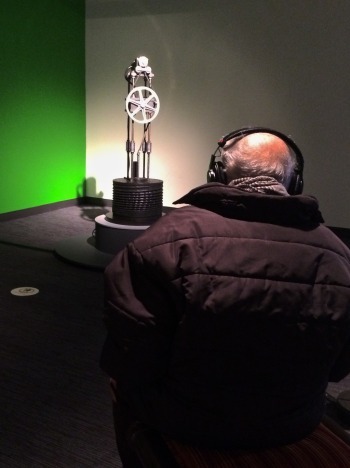 We have recommended the MIT Museum on this blog before but it is a great time to visit with this new exhibit. If you are traveling to Boston be sure and add it to your itinerary. Advance warning though - find it on Google maps first. It is tucked away in an MIT corner. 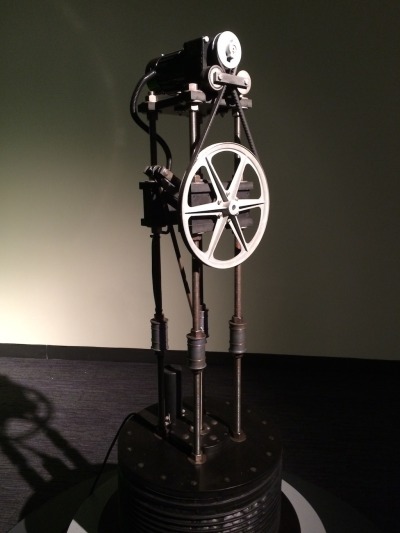 Larua Knot is the curator for the show and she has started a kinetic blog about the show that includes some fascinating information about assembling this exhibit. The blog is located here. And the Boston Globe did a review of the show here worth reading as well. We are home from our first TEDx experience and the journey, from start to finish, has been memorable. First, about the actual day. No doubt about it. It was intense and will be one of those experiences that continues to percolate as I think about the people I met and the ideas discussed. All the talks were video taped including mine and should be available through the TEDx site in about three weeks. I will keep you posted and provide a direct link when they are put up. This particular TEDx was remarkable in that it was organized by five BGSU students. That lent the excitement of youth to the entire production. The theme was Passion, Inspiration, Action! My talk, Physics + Art = Kinetic Sculpture, was about life's nudges with examples of the nudges that moved me from a career path directed toward the sciences to one in the arts. I continued exploring other nudges that led to inspiration, growth and change in my work. My TEDx Talk went well, at least that's what Marji and others tell me. Luckily I'd put in a lot of time rehearsing. In truth, I have little memory of it and I, like you, am awaiting the video release to see what I actually said! I feel I skipped parts and rearranged the order on the fly. We'll see! It was certainly a rush to see some of my older work on the big screen! The invitation to speak set off a review and reflection starting from the very beginning of this unexpected (and unplanned) career. I must say that this reflection has been very valuable. Many parts of the history were never recorded or chronicled have been so now and will provide content for many a blog post to come. I hope that this discussion can provide inspiration to others to take the chance, follow the nudges and persue their dreams. So, stay tuned. I'll share the TEDx video. I now have lots of great video and photos of sculptures long buried in the past thanks to Marji's efforts and we'll be showing and talking about them in future posts. Friday, 9/9/11, David and I traveled to Cambridge, Massachusetts because David had been invited to give a talk as part of the Hubspot Biz Talk series. He spoke to a group of employees about the early years of Wood That Works and developing a kinetic sculpture business by following the nudges. David was pleased to be doing this because his public speaking experience since grade school has been limited to weddings and he has never used a remote device with a presentation system. In addition to sharing his history with Hubspot he was gaining much needed experience for his TEDx talk next week. The presentation went well, David received great questions from the group that listened and much appreciated input on presentation ideas. 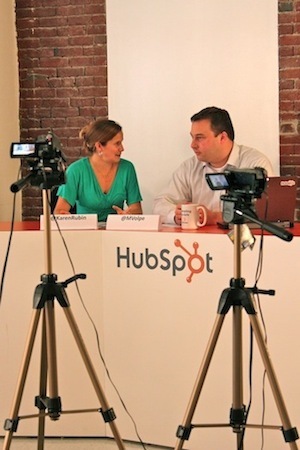 We also stayed for the Hubspot live web podcost of Marketing Update starring @karinrubin and @mvolpe. Hubspot is a great company and we appreciate their warm welcome and great advice! Thanks folks! David and I have been hard at work preparing for his TEDx Talk on Sept. 16th. Oodles of minutes have been shot for new videos and David has spent hours trying to pare down 35 years of discovery and inspiration into 18 minutes of talk. Significant portions of his work which were never captured in video before are now being recorded. Here is a short video collage displaying detail shots of six of his earliest reliable mechanisms. The keyword is reliable. During the early years of Wood That Works David designed many, many mechanisms. Only a few worked reliably and were expanded to become sculptures. Most didn't. I provide this as words of encouragement to those of you trying to create kinetic sculpture yourselves. It takes a lot of experimentation to understand mechanisms and their peculiarities. And even more to control it for creating patterns.